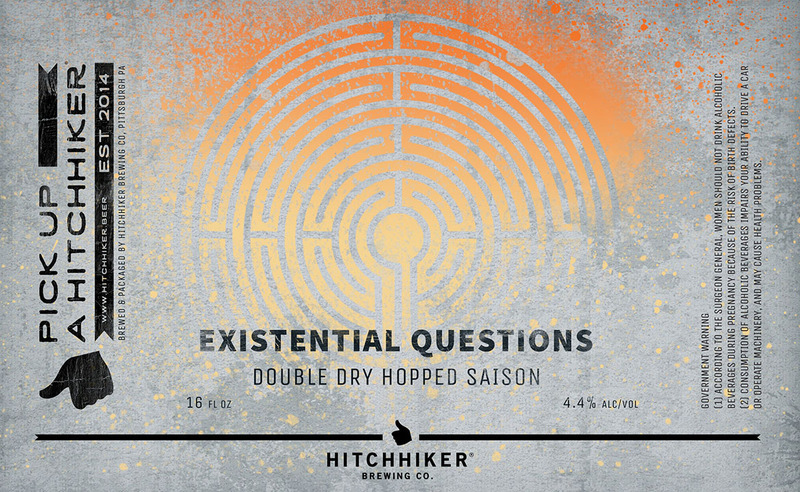 Existential Questions | Hitchhiker Brewing Co. Brewed with oats. Hopped with Mosaic. Notes of blueberry, lemon peel, peppercorn, and pineapple.